Our best selling pavement signs, A-Boards are a great low-cost way to get your message across. A strong aluminium and steel construction provides great stability, and they fold away easily for night time storage. 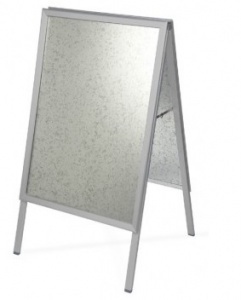 Our A-Boards incorporate a snap open and closed frame system for quick and easy poster changes.